We are hobby breeders. We were lied to as well and had many reservations about moving into this neighborhood and assured time and time again by the owner of record of this property that all was well. Apparently that isn't the truth so now we are trying to collect our resources and find a more suitable place to live. We do not have 23 dogs. The dogs you are counting went to the Bridge and are no longer with us. All you had to do is ask and not stalk us on the internet. We have 10. Only 4 are breedable females. Several are retired. 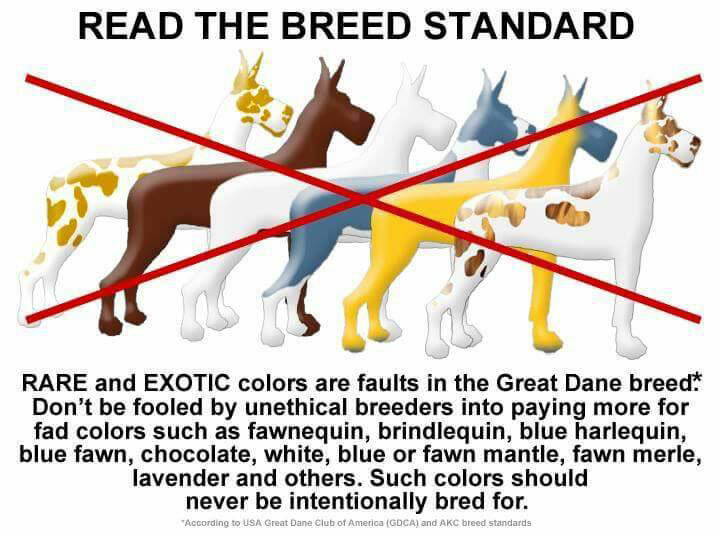 Two males aren't breedable at all but rescues. Don't ever put your future in someone else's hands. 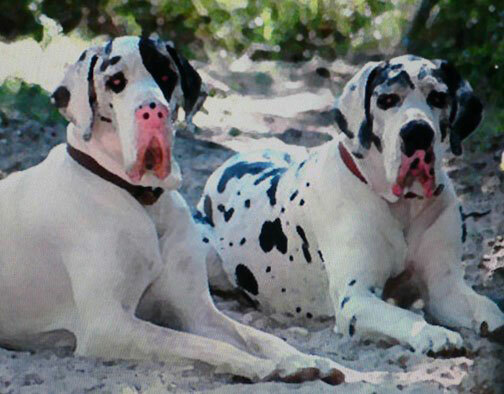 Colors in Great Danes. We breed harlequins and related colors. Merles, harlequins, mantles, blacks and blacks with white markings. 210-265-9531 cell. Call or text cell but please give your name. We ship at new owner's expense. Almost daily I get calls from people wanting to get off cheaply for a quality dog. "I just want a pet", is the standard response. Please check out our visual example below on the difference. 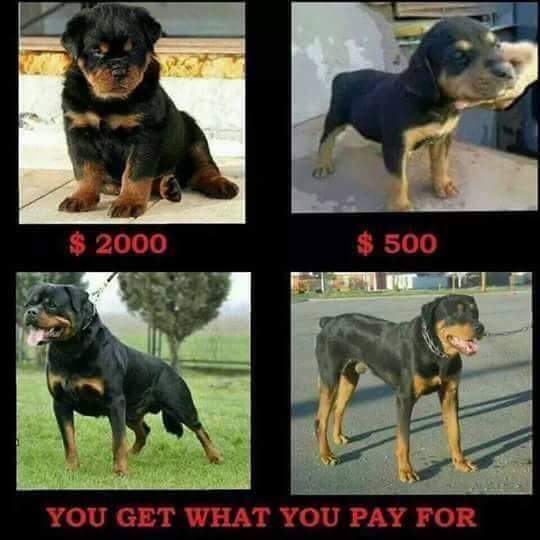 Yes, I do realize that is a Rottweiler but I'm trying to make a point. On top of that the cheap puppies aren't going to come with a guarantee. With her permission we are continuing Arlene Scarbrough's controversial topics. Click here for tons of information. 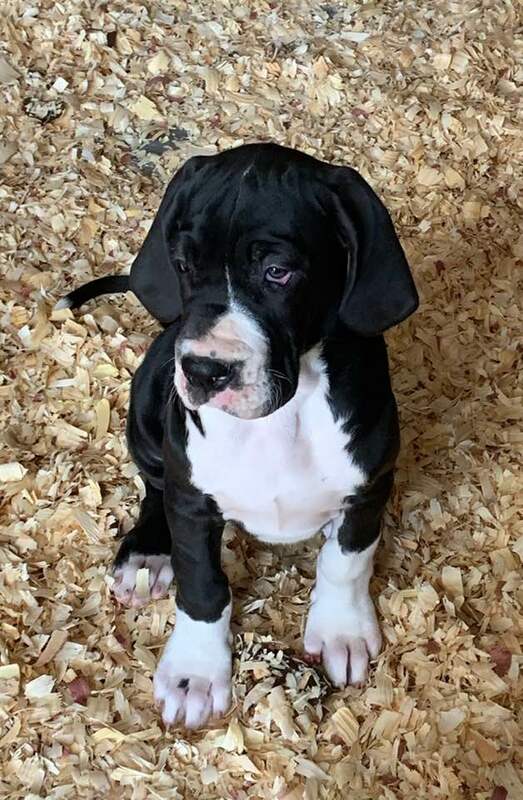 10 Things you should know before getting your own "Marmaduke"
Call or text the number above. If you do text please give your name first just like you would do in a phone call so I know who I'm talking to. Also please note that while I will take text messages my preferred method of communication is via talking on the phone. I'm not fast at texting and if you have 20 questions it could take me all day to answer. Anyone who is seriously considering one of our dogs must have a telephone interview to make sure they are the perfect home for one of our puppies. We want to match the right dog to the right family. We breed 100 % European bloodlines. Please take the time to view our many pages and read our information and guarantee. WE GUARANTEE AGAINST ENLARGED HEARTS FOR SEVEN YEARS.